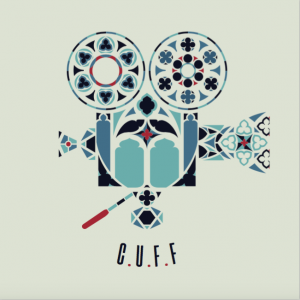 Who is allowed to enter CUFF Film Festival 2019? You can enter individually or as a crew. As this festival aims to build a platform for students, we ask that there are no more than 2 non-students in each crew (excluding actors). Students must be attendees of one of the universities in Canterbury (University of Kent, Canterbury Christ Church or University of Creative Arts). Recent graduates from any of these universities can also apply. Any submissions from individuals not students or graduates of UKC, CCU or UCA will not be accepted. I am a student at UCA or UKC but the campus is not based in Canterbury. Can I still enter? Yes. Any university student from UCA – whether the university is based in Canterbury, Farnham, Maidstone, Epsom or Rochester – is welcome to enter. The same goes for UKC student based in Medway. How long can my film be? What is the deadline for the submissions? Midnight 16th February 2019. Any submission made after this time will not be considered. What if my short is already on the internet? We ask that the short film you enter is not already online. If your entry can be found online we will ask you to take it down. If you fail to do so, your short will be excluded from the competition. How many films can I enter? There is a maximum of one submission per team. The entry fee is free with the code CUFF2019. Applicants can claim two tickets to the film festival. There are a limited number of tickets so we will operate on a first come, first serve basis. If your application is successful, you will be contacted via email and we will require an HD copy of your film along with other press material to help promote the screenings. What awards could I be granted? You can find information on awards right here.